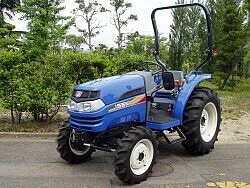 ISEKI is a Japanese company, founded in 1926 and specialist in the production of agricultural and horticultural machinery. Worldwide, the company counts more than 4.500 employees. Since end of 2016, the European head quarters of ISEKI in Zaventem are certified according to the international environment standard ISO 14001:2015. This certification is the result of an intensive cooperation with De Putter & Co in order to implement an environment management system, focused on controlling and improving environmental actions. Through this system, the organization pays attention to the environment in its business operations, while focusing on the compliance with laws and regulations and the control of environmental risks.